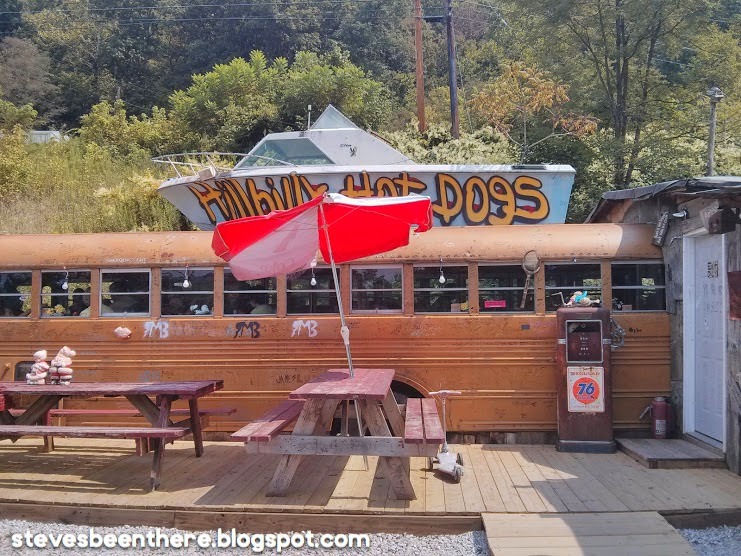 Hillbilly Hot Dogs in Lesage, West Virginia is a real hoot. I stopped there last year for lunch during a cross-country road trip. 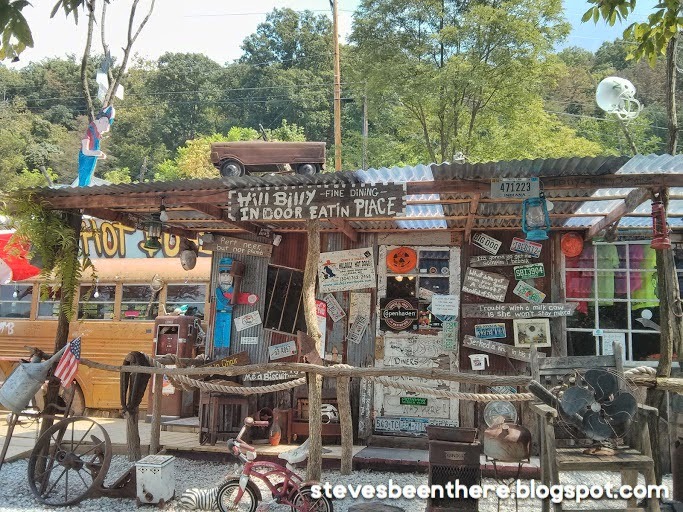 It's not far from the 64 interstate freeway so if you are driving through West Virginia near Ohio you should make a visit. I first heard of Hillbilly Hot Dogs on Diners, Drive-Ins, and Dives with Guy Fieri. Guess what? The food is actually pretty good. If you leave a tip, the friendly staff sings the Hillbilly Hot Dogs corporate theme song. So expect to hear a lot of singing as you wait in line. The school bus has tables inside. After ordering your grub, head over into the old school bus which has been renovated with tables. Or sit outside on one of the picnic benches. I tried a couple of dogs. 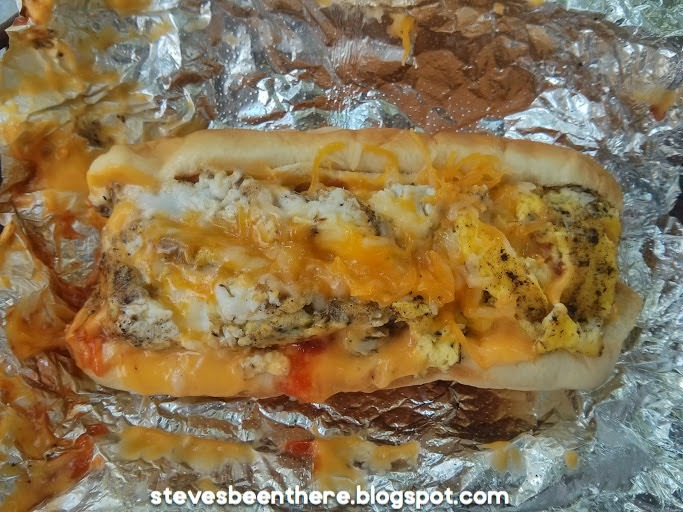 The classic Hillbilly dog which is fried and covered in chili, and the Egg Dog. 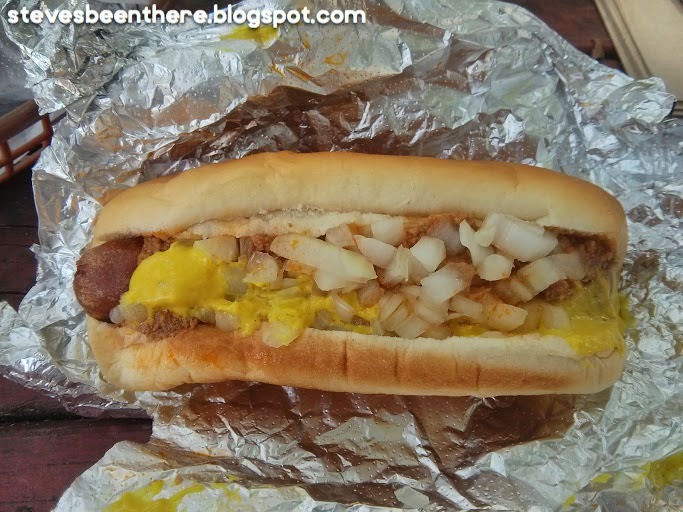 The Hillbilly dog is really good, and the chili over the top is also very good. Not greasy, and full of meat. To be honest, I was hoping the Egg Dog would be a lot better. Everyone I've told about it said, "What did you expect?" so I guess I wanted a fried egg rather than soft scrambled eggs. This is really more of a tourist attraction than a place to eat, but the food is still pretty good and it's a fun experience. I am glad I made the trip. I recommend it if you can get here without making too much of a detour.